Sela was the capital of Edom. It is mentioned in Isaiah 16:1 and 2 Kings 14:7. Sela probably was not a major site in Abraham's time. Petra is the later name, when it came under the control of the Nabataeans who then controlled much of modern-day Jordan until the third century BC. Petra reflects the pillared architecture of the Horite shrines of the Nile, and the first ruler of Petra, Obodas, took his name from the Edo/Edomite name for ruler which is Oba. The linguist Helene Longpre recognizes that Demotic Egyptian (7th-5th c. B.C.) 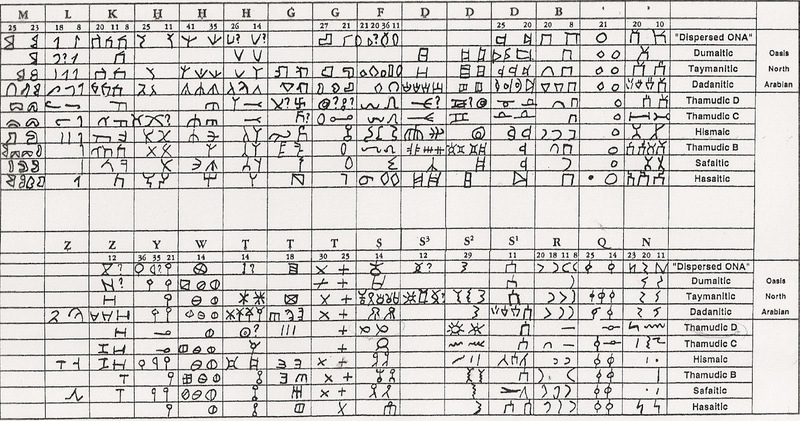 and Nabatean Aramaic most closely correspond to Meroitic or Old Nubian. (Longpre, "Investigation of the Ancient Meroitic Writing System", Rhode Island College, 1999.) Demotic is the script of the Rosetta stone in the Ptolemaic period (332-30 B.C.). 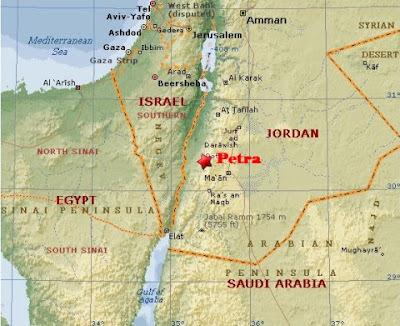 Petra is the Greek name, and refers to the rocky location of the Nabataean capital in the red sandstone mountains of Edom. The Greeks called the Edomites the Idumea, meaning red people. Esau of Edom was described as having a red skin tone in Genesis 25:25. This suggests that the Edomites of the Bible may be related to the Edo or Idu of Nigeria and Benin whose rulers dress in red. The title of their rulers is further evidence. The ruler of the Edo is called "Oba" and the first ruler of Petra was the deified Nabataean King Obodas. There likely is a linguistic connection to the Turkish word for ancestor or grandfather which is oboko. Edom was controlled by the Horite Hebrew, a caste of royal priests who spread from the Nile into Mesopotamia, Babylonia and beyond. Seir the Horite is listed as one of their kings in Genesis 36. The Nabataean kings, such as Harithath IV, bear the Horus name. King Harithath is called King Aretas in II Corinthians 11:32. Coins have been found bearing the image of Aretas, and inscriptions have been found in the Nabataean town of Avdat with his name and the names of other Nabataean rulers. He was called "King of the Nabatu, who loves his people" (Philopatris), and it was during his reign that the greatest of Petra's tombs were created. 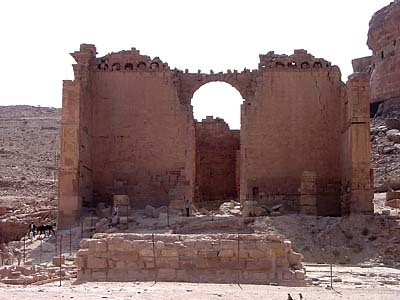 The connection to the kings of Egypt is evident in the name of Petra's central temple: Qasr al-Bint al-Faroun which means "The Fortress of the Daughter of Pharaoh." Its walls rise to over 75 feet. The temple was built between the late first century BC and the first century CE. Its precinct covers about 81,376 square feet or 7,560 square meters. A large open plaza was lined with 120 columns. The columns were adorned with Asian elephant-head capitals and provide evidence of connections between ancient Edom and India and other lands of the ancient Near East. At its height of glory, Petra rivaled the grandeur of Herod's Jerusalem. The word Nabataean is likely related to Naba or Nabu, the guardian of scribes and prophets. This is the origin of the Hebrew word nabi, meaning prophet. The earliest scribes were Horite priests. The cult of Nabu was introduced into Mesopotamia and Babylon by the Kushites. Kushite kings sometimes bore the name Nabu, as with Nabu-shum-libur, an early Kushite king in Babylon and Nabu-aplu-iddina. The Horites traced blood line through the mother while social status was based on the father's rank and occupation. Married women could hold and bequeath property and rule over their clans. Anah is listed as a "chief" in Genesis 36. Her name is also spelled Anat and Anath. Joseph married the daughter of a Horite priest. Her name was Asenath, a variant of Anath. Petra is a 400-acre complex cut from the rock well before the time of Jesus. It is called the "Rose City." The city reveals a sophisticated system of water management. There were aqueducts, piping systems and channels that directed water to the city center, to the temple, and to the homes and gardens of prominent citizens. Retention dams prevented flooding. Note the three-portal design. Jordan has done restoration at this and other Petra edifices. The Petra temple exhibits the typical Egyptian Divine Triad of Supreme God, the Divine Son (Horus, associated with Jupiter), and the Mother Goddess (Hathor). Generally, the architecture reflects the Egyptian three-part structure. Excavations at the foot of the Treasury reveal that there were three stories, not just the two shown in photographs. Hundreds of rock-cut tombs have been found at Petra. The Tomb of the Obelisks is distinctively Egyptian in architectural style. The Nabataeans were Arabs of the Negev whose dominion once extended as far as Damascus in Syria. They were involved in the lucrative South Arabian spice, incense and perfume trade and apparently were related to the royal House of Sheba. The rulers of Sheba were descendants of Raamah and their territory extended from the southwestern part of Arabia northward to Beersheba (the well of Sheba). Sheba and Dedan were brothers (Gen.10:7) who ruled separate territories. The qiblahs in the oldest mosques in Cairo and in Baghdad point to Dedan, about 500 miles north-northwest of Mecca. The largest collection of ancient Arabic texts have been found at the North Arabian oases of Tema and Dedan in the Hijaz. Tema is known by Arabs as Taima and lies about 70 miles north-east of Dedan. Tema, Dedan and Dumah were caravan stops along the trade route from Sheba to Babylon. Sheba is credited with early domestication, breeding and export of Arabian horses. Likely the word "horse" is derived from Horus or Horite. The word horse appears as hors in Old English texts before the 12th century. Onager horses, (related to gur or khur?) were bred by Kushites along the Tigris before 3000 BC. Rock and cave images of horses in the Sahara predate the 1670 BC Hyksos invasion of Egypt, so the Hyksos cannot be credited with introducing horses to Egypt. The Nabataean cavalry was camel mounted with two archers, one facing forward and one facing either front or back. The warriors wore ribbons in their long wavy hair. The camel was well suited to the desert environment in which they fought, but with their expansion into Syria, the Nabataeans adopted horses for war. They preferred fast lighter horses that could, in the words of Diodorus "… flee into the desert, using this as a stronghold." The Nabataean warriors had long wavy hair and wore feathers. 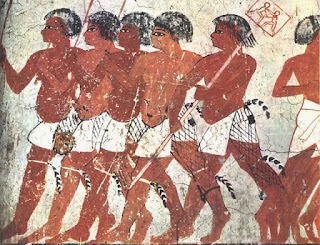 These Nabataean warriors appear to be related to the red Nubians shown below. The power and influence of Petra's rulers was subjugated to that of Rome when the emperor Trajan formally annexed the city in 106 A.D.
After the decline of the Roman Empire, Petra became a provincial capital under Byzantine rule. 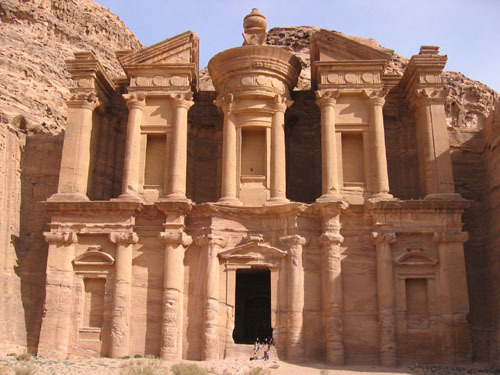 Inn May 363 A.D., Petra sustained significant damage during an earthquake. The city sits near the boundary of the Arabian plate and has suffered from numerous quakes. The quake of 363 was especially devastating. It was reported that half the city was destroyed and the water system was disrupted. Archaeologists confirm damage to the main theater, the principal temple of Qasr al-Bint al-Faroun, and the Colonnaded Street. Petra was in economic decline before the earthquake of A.D. 363 due to changes in trade. The flourishing land trade from East Africa and South Arabia to the Mediterranean and India had declined by the 2nd century A.D.
Could you provide me with some valuable articles/websites regarding the Horite/Israel/Egypt topic? The related readings at the end of each article take you deeper into the subject matter and show how the Horite ruler-priest caste and the Horim (ancestors) of Israel have a pre-Abrahamic Nilotic context. If you can't find what you are seeking, let me know and I will refer you to specific materials. As far as I know, only Just Genesis addresses this connection as this has been the focus of my 30+ year research. So you will probably be suprised by what I've just found a minute ago. I've just skimmed this pdf, but on the hindsight John Campbell (1840-1904) came to suprasingly similiar conclusions. I'm not surprised at all. When a researcher keeps an open mind and lets the data speak for itself, the dots connect. Sometimes it takes years. Scholars have been dancing around this for centuries. Thanks for this article. Not sure if you have heard of a place called Bozrah in Hebrew and indicated in the Book of Revelation in the New Testament. Could Petra also be Bozrah? Boz-ra was the ancient capital city of Edom. In the book of Revelation it may simply represent Edom or Horite territory. Often the capital of a nation represents the whole nation or people. 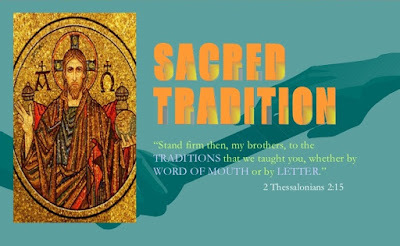 The language in Revelation reflects Horite expectation of the Son of God who would be born of the Woman in Genesis 3:15. The woman is the Virgin Mary, a descendant of the Horite rulers of Edom. The Horites knew of her, as she is prefigured in Hathor-Meri, who conceived when the Sun overshadowed her and she gave birth to Horus, the Son of Ra. Thus Boz-Ra, the sheepfold of Ra. 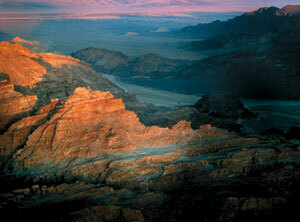 The Horites of Edom resided in this area before Petra. The Horites are called "Horim" in Hebrew and referred to as the "Houris" in the Quran. They are the mighty men of old, men of learning and wisdom. The oldest mosques were aligned to a point some where south of Petra.